Why do we sometimes give Premium Wordpress Themes on our website? Why do we give Premium Wordpress Themes on our website? 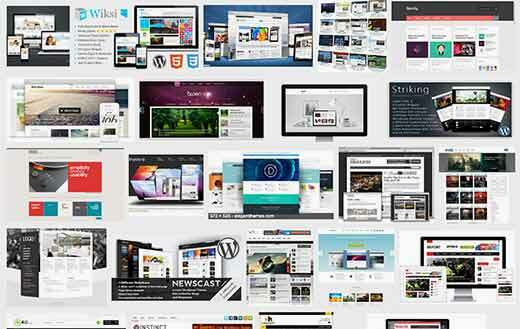 If you read it, here we give away Premium WordPress Themes and virus free. Before I go to crucify some, I must clarify that you like it or not, WordPress is GPL and everything that is developed to be used with WordPress inherits the same license. The only conclusion is that if your theme executes functions that are provided by WordPress, then your theme is indelibly connected to WordPress, and must itself be made available under the same terms as WordPress. My only intention to share these issues is that you can test the issue and decide whether to buy it or not. Avoiding what happened to me. I paid for a license for life and never used the theme. I know that there are people who make a living doing themes, but they are all aware of this reality and when you pay to download their themes, you are not paying for the subject, you are actually paying for technical support and receive security updates from your Products. So why do we give away Premium WordPress Themes? For the simple reason that it’s legal and I’m not doing anything wrong.